Efficiency is the name of the game in today’s fast-paced digital world; and whether you’re leading a team—or an entire company—you should always be looking for new and creative ways to get more done in less time. That’s the goal, right? 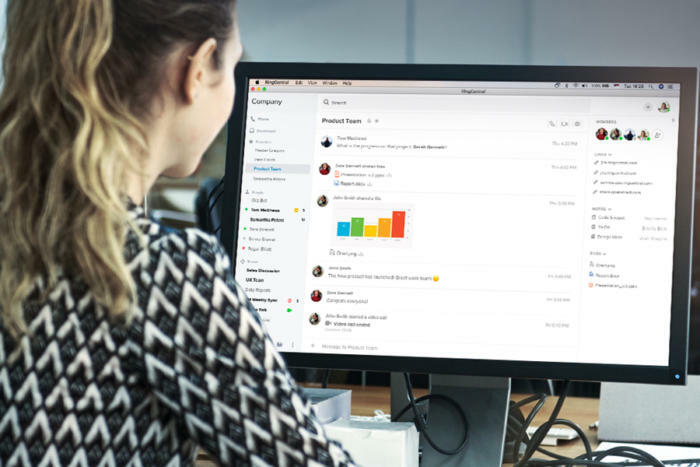 While there are plenty of pricey tools like Slack and Skype that promise to fine-tune your productivity, few are as quick and impactful as Glip, and it won’t cost you a dime. With free chat, file sharing, and task management features, Glip is a collaboration tool that helps cut down on information overload and email back-and-forth. With Glip you can chat in real-time via text or video, you can even share your screen wherever you are. You can create and manage tasks, and instantly share and collaborate on files. With 96% of users saying Glip has made their communications easier and 64% saying they deliver projects faster, Glip is a no-brainer for helping your team reach its full potential. Access Glip on any device, with apps for both mobile and desktop, iOS and Android. Glip is free to use and with as many users as you want. You can get started for free (yes, free) today.